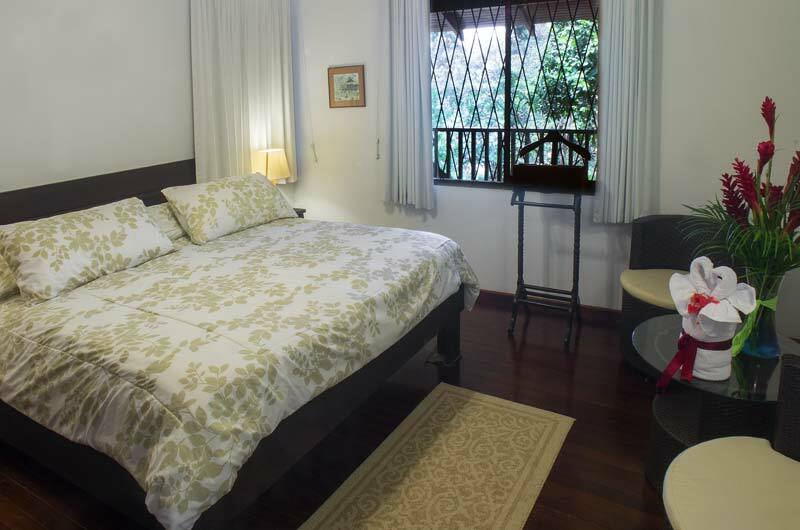 ENJOY SECLUDED AMBIANCE and a river view! 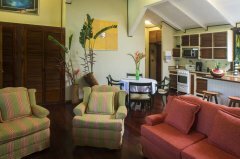 Our Casona offers a superior option for families and small groups to share lodging in an air conditioned, two bedroom suite. Complete with a large kitchen and living area, 2 full baths, and verandah with hammock and chairs, the suite is located up the ridge from the dining hall and bar. 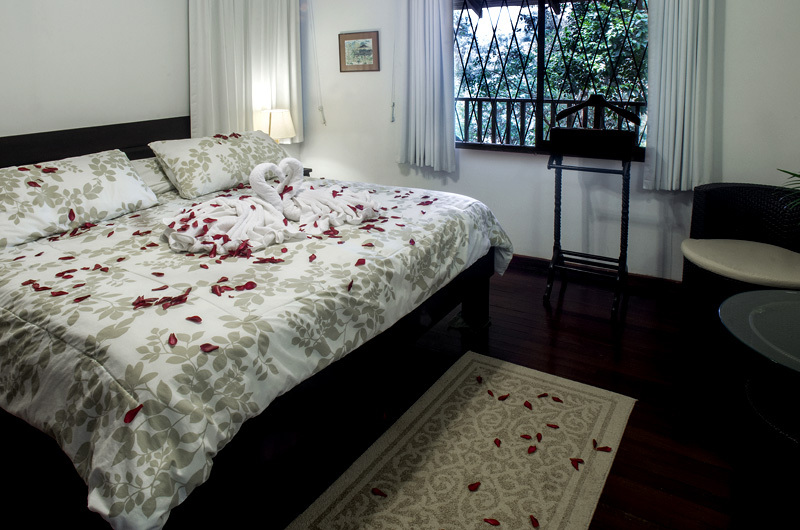 It has two bedrooms, one with a queen bed, and one with two twins. There is also ample space for additional rollaway beds in the living area. 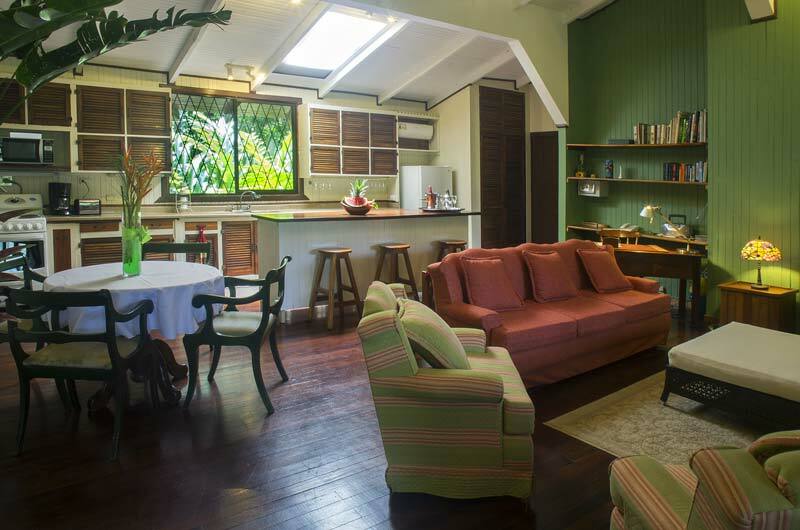 The kitchen is equipped for cooking and the living room has space for relaxing, reading, playing games, or studying. It is not far from the road, thus it can be impacted by traffic noise. 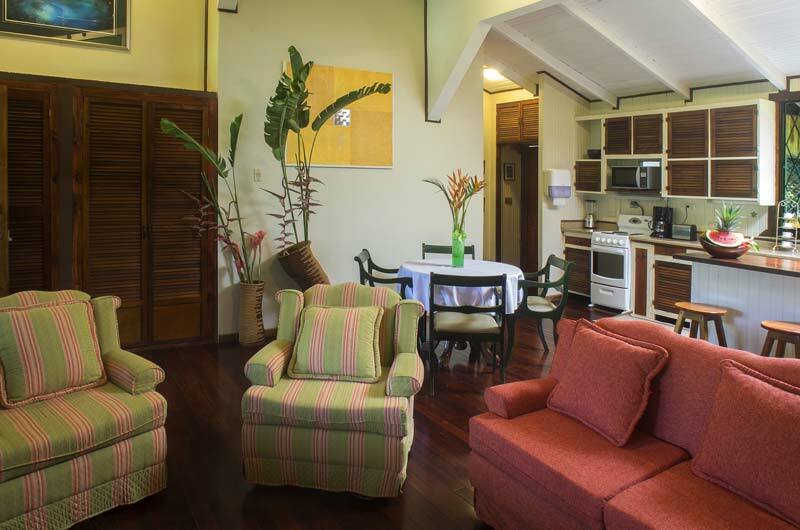 Enjoy a home away from home in the rainforest, Costa Rican style at La Casona! Minimum stay 2 nights please.